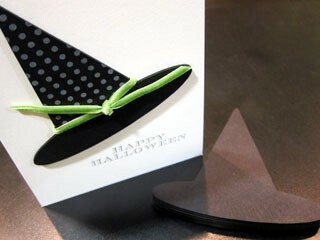 We just found these chipboard witch hats and we love them. Look how cute they look on a card. We stamped them with fresh ink white and a polka dot hat. 8 pieces per pack, each measures about4 x 3.5 inches.